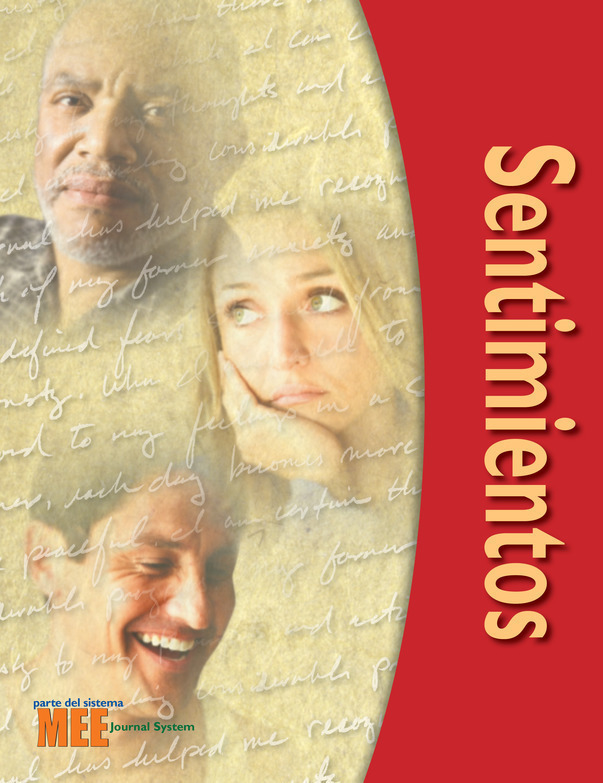 Feelings explores the role emotions play in addictive behavior problems. 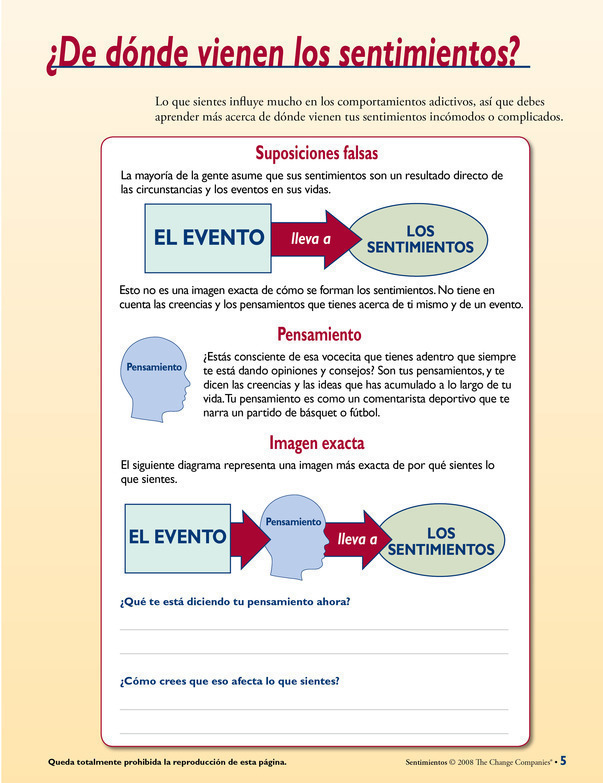 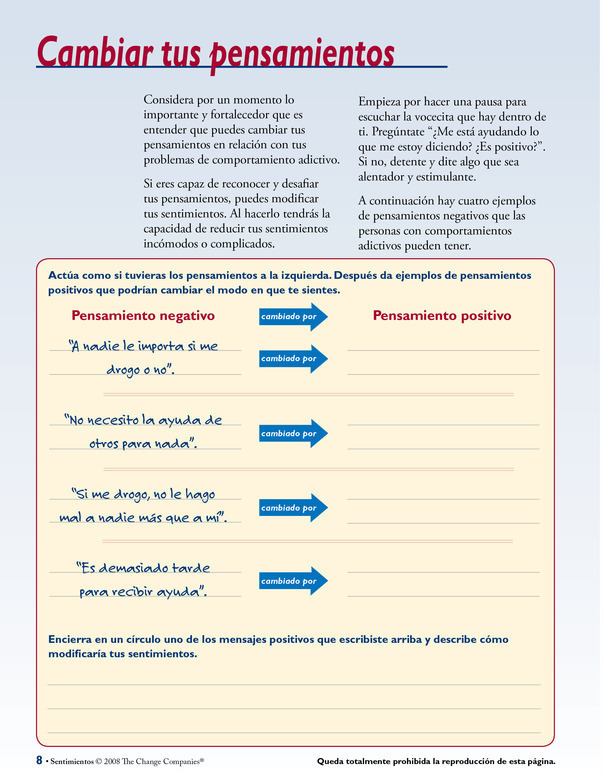 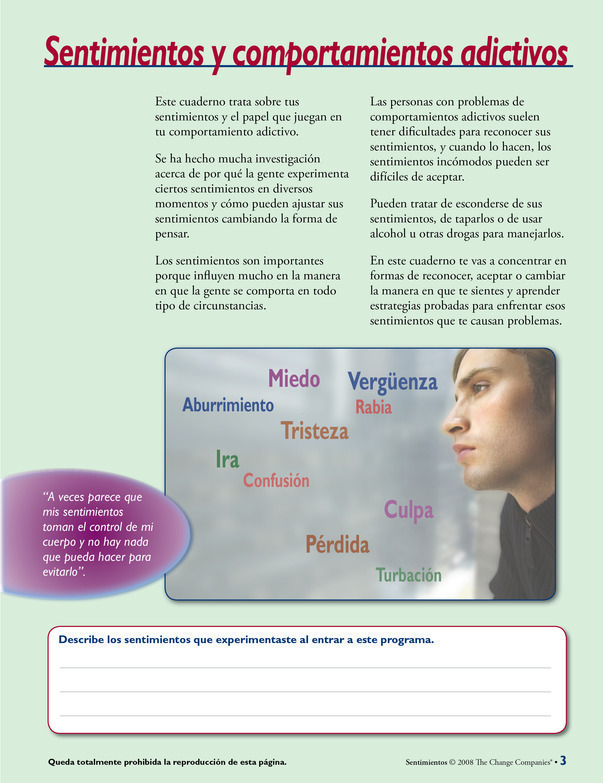 Participants learn to identify the relationship between their feelings and their thoughts and behaviors. 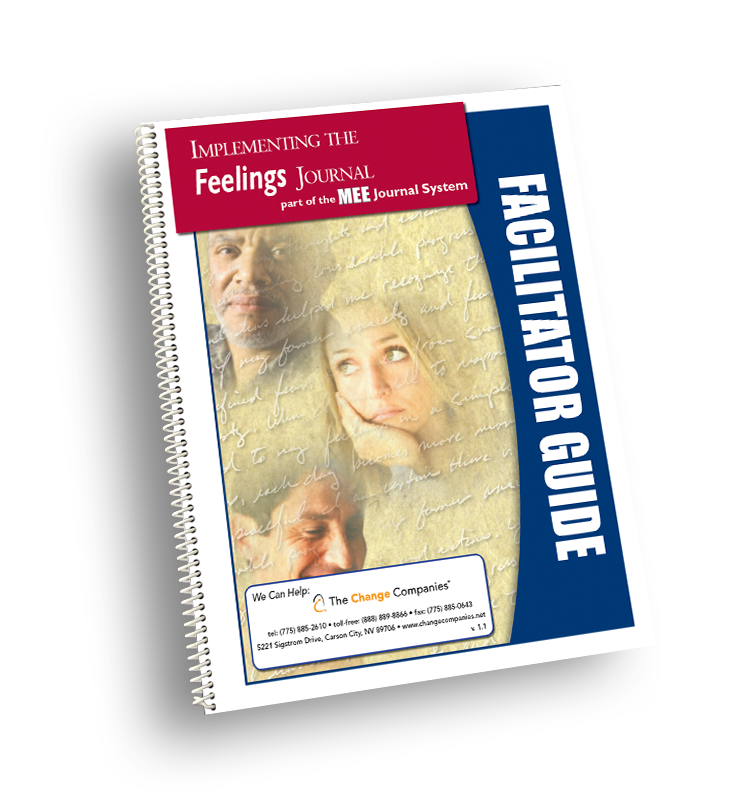 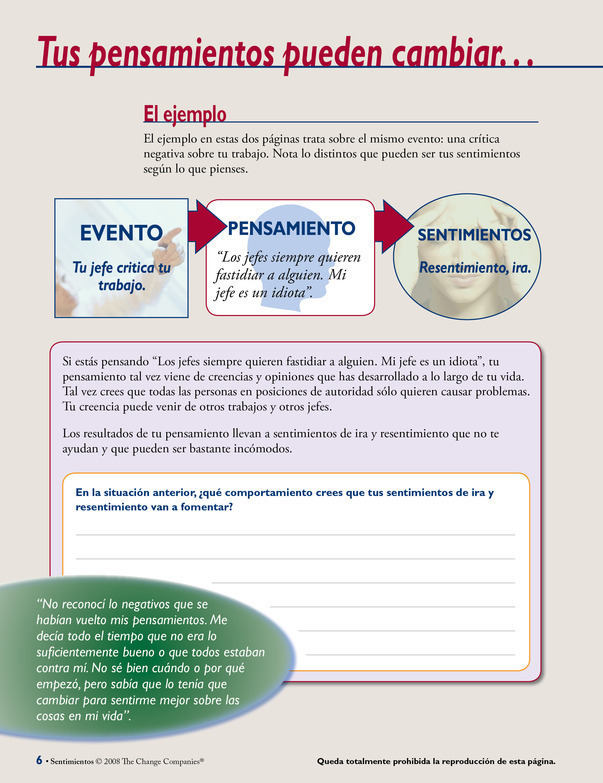 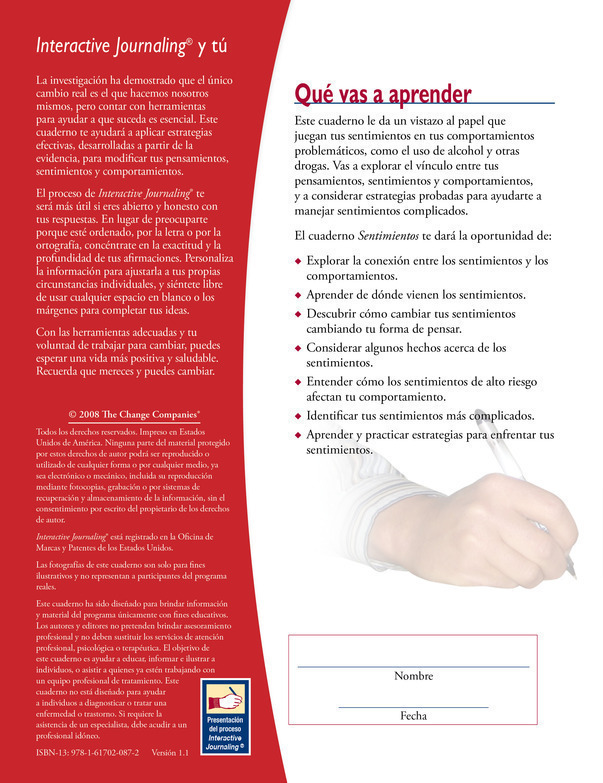 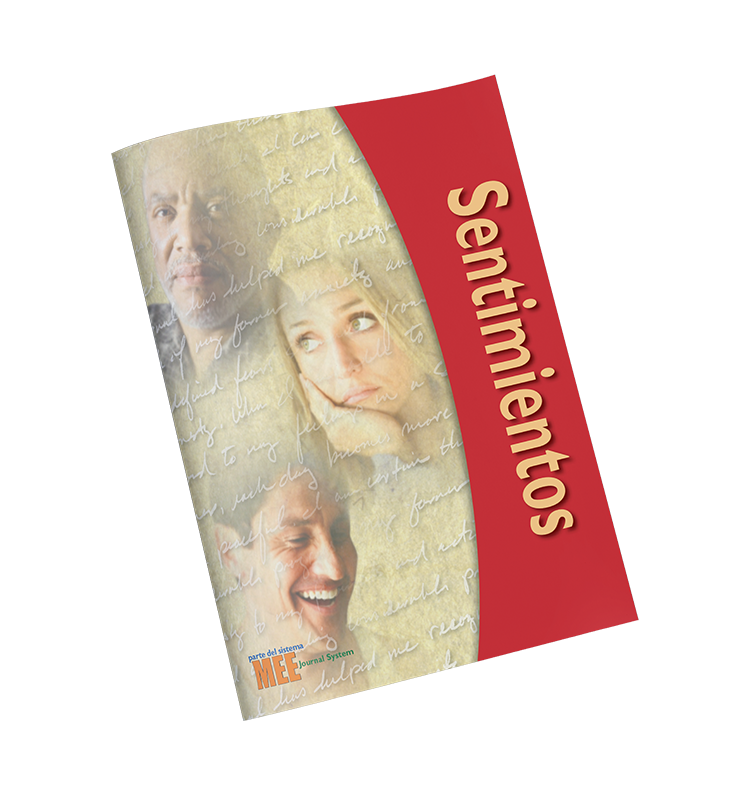 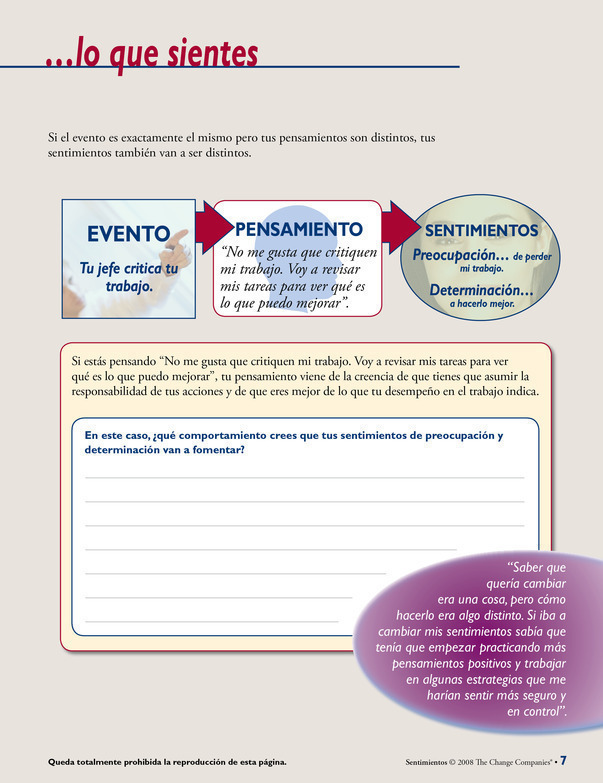 Additionally, the Feelings Journal focuses on practicing and applying coping skills to the participant's difficult and uncomfortable feelings.